Plant light requirements are the amount of sunlight a particular plant likes - or needs. But sometimes the garden terms for light requirements can be confusing...what exactly is full sun, part sun or partial shade? This means all day every day, for at least 8 hours of sunlight. 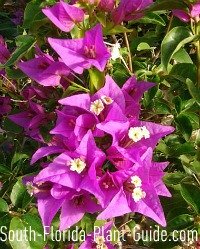 Bougainvillea is one plant that must have full sun to grow and flower to perfection. Too little sun and you're the proud owner of a leggy, thorny plant that won't flower much. This means no sunlight touches the leaves of a plant at any time. Plants that like full shade don't necessarily like it dark. 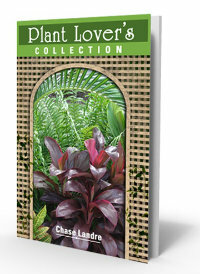 Deep, dark shade is one area where few plants will grow...or if they do, they'll become leggy, reaching for more light. Bright indirect light in a shady spot is perfect for plants that like or can handle full shade. Partial sun means at least 4 hours of strong sunlight...morning sun into early afternoon, or all afternoon sun, or sunshine from late morning through early afternoon. Most plants that like sun can take part sun. Knock Out roses, for instance, need 4 to 6 hours of daily sunshine. This can mean dappled sunlight - filtered sun that peeks through tree canopies. Or a couple of hours of early morning sun, but not midday when the sun is blazing hot. 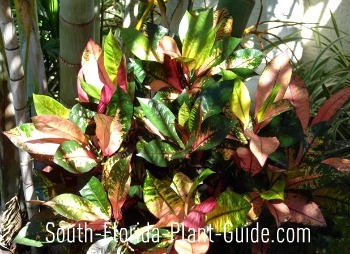 Some varieties of crotons thrive in this light condition. Part shade plants can sometimes adapt to a bit more sun, such as the slanted late afternoon sunshine that reaches under trees just before sunset. Most folks lump part sun and part shade into one category. 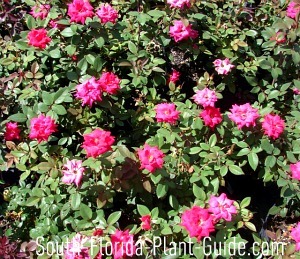 But separating them makes choosing the right plant and correct placement easier to understand. 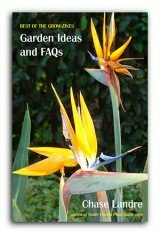 Plant light requirements are listed on each of the Plant Pages, so you know if a plant you like will work in the area where you want to plant it. Plant light requirements mean nothing if you haven't done your homework. Don't shop for a plant until you've assessed the light available where you're going to plant. Many people get this backwards - they buy the plant and then come home to find out the area where they wanted to place it gets a totally different amount of sunlight than they thought. 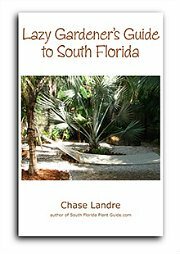 If a plant can take the plant light requirements of both sun OR shade, and you place it in a shady location, a sun-or-shade plant will usually adapt quickly. If you place a plant in sun that has been grown in more shade, it may suffer "sunburn" (browning) on the leaves, and possibly heat wilt. Heat wilt means it will droop, looking like it needs a drink. Don't run out and water it, unless it is actually dry. The plant will adjust after a short time. Keep the plant in its original pot for about 2 weeks. Place it in a little more sun each day until it's situated in the same lighting where it will be planted. Make sure you keep the plant well watered while it's in the pot. Don't overwater...just check every day - is the pot light to pick up? Then it needs a drink. Is it heavy? Then it probably doesn't need watering. The north side of your house will usually be in full shade, if you're planting up against the house. The south side is the sunniest - ideal for full sun plants. The east side provides morning sun, a partial shade location. The west side allows afternoon sun for part sun plants. In winter, the sun moves more to the south. This can mean the sunlight your landscape plants get may differ from what they get in summer, when the sun is overhead at noon. 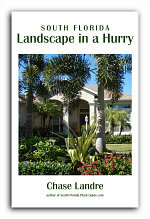 In some areas of your yard, you may have to use plants that can take both sun and shade to account for this change.